The end of winter is just around the corner. 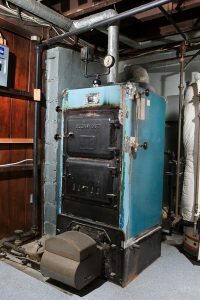 Your trusty furnace has made it through yet another intense season of cold weather. But at the same time, now might be as good a time as any to start asking yourself: is it truly performing its best? Because if it’s not, it might be time to have it replaced. But why are we jumping to the sudden conclusion of having your furnace replaced? There are a few good reasons why (and they mostly have to do with saving money). We’ll go over them below, along with some methods you can use to determine whether it’s time for replacement. In the family tree of HVAC heating systems, furnaces and heat pumps are like cousins to each other. They share the same extended family, but their means of operation is too different to consider them siblings. So, here’s where this analogy gets awkward: you definitely shouldn’t play favorites with family members, but you can only choose one for your main heating system. Before committing to one of them, we want you to understand the potential benefits of both systems. We’ll try and help you do that by going over three of the top deciding factors for each system. 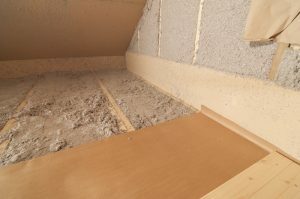 When it comes to insulating the home, the first mental image that appears might be that of the fluffy pink sheets, also known as fiberglass insulation. What many homeowners may not be aware of is that they can also opt for cellulose insulation, a type made of recycled paper. Regardless of which material you use, the main objective of insulation is to slow the transfer of heat. In winter, we want all our hot air to stay inside. In summer, we’re much more generous and will allow hot air to stay outside. Insulation helps us do that. In this post, we’ll go over these two types of insulation to sort out the pros and cons of each. Apply for 100% Financing today! © 2018–2019 AirSouth Cooling and Heating. All rights reserved.